The Budget session of the Parliament will start on 29th January and the Budget will be presented by Finance Minister Arun Jaitley on 1st of February 2018. Budget 2018-19 will be presented in the Parliament in the next few days. The Budget session of the Parliament will start on 29th January and the Budget will be presented by Finance Minister Arun Jaitley on 1st of February 2018. 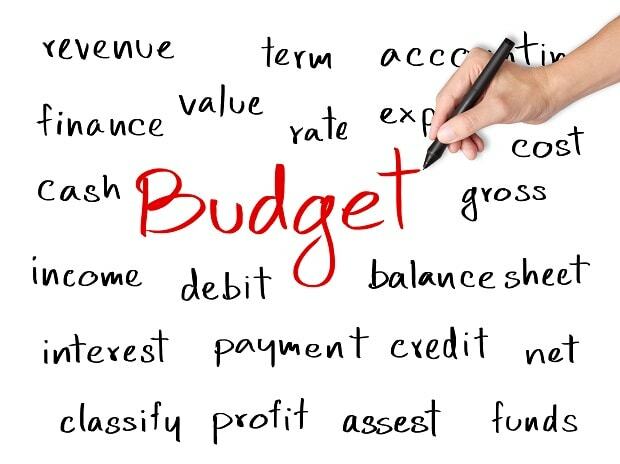 Prior to the Budget being presented, in the Budget while it’s being presented and even after the Budget has been presented one will hear some Budget Terminology which is mostly heard in and around the Budget period. Mentioned below are some lesser known Budgetary terms that you are going to come across in the next few days after the Budget 2018-19 is presented on 1st February 2018. Economic Survey – Economic Survey, also known as the Economic Survey of India is a document that is presented in the Parliament prior to the presentation of the Union Budget of India. The Economic Survey of India is prepared and presented by the Department of Economic Affairs which operates under the Finance Ministry of India. The document reviews and lists all major fiscal developments, economic highlights, policy initiatives and economic prospects in the short to medium term basis. Public Account – The transactions and funds in which the Government merely acts as a banker are classified as Public Account. In Public Account the actual funds belong to general public thus provident funds, small savings and other such accounts are accounted for here. The Public Account has been set up under the Article 266(2) of the Indian Constitution. Gross Domestic Product (GDP) – GDP or the Gross Domestic Product is described as the total market value of everything including products and services produced in the country on a quarterly or yearly basis. There are many types of GDP depending upon various factors such as Nominal GDP, Real GDP, GDP per Capita and more. Fiscal year – Fiscal year (FY) also known as Financial Year is a period that the Government uses for its accounting or financial purposes. Although it is also of 12 months but Fiscal Year is different than the Calendar Year. In India the new Fiscal Year starts from 1st April and end on 31st March the next year. Thus in India accounts prepared for a specific financial year will start from 1st April and will end on 31st March after which a new Fiscal Year will start. Fiscal Consolidation – Fiscal Consolidation can be termed as steps and policies formulated by the Government to improve its fiscal health and to observe fiscal prudence. Mostly steps taken by the government to reduce deficits and debts and improve revenue collections are termed as components of fiscal consolidation. Ways and Means Advance (WMA) – Ways and Means Advance is a tool by which the Reserve Bank of India (RBI) provides funds to the States to tackle temporary mismatches of cash flow in their receipts and payments. RBI acts as a banker for states and states can avail for two types of WMA from RBI which are Normal WMA and Special WMA. Current Account Deficit – Current Account Deficit is primarily described as the deficit between the value of goods and services that a country imports in comparison with what it exports. If in case a country exports more than it imports then the term current account surplus is used. Zero-Based Budget (ZBB) – Zero-Based Budget is an accounting practise in which every function and aspect of the Budget begins from scratch or zero-base. With a fresh start in Zero-Based Budgeting each new expense has to be justified and is then analysed depending upon needs and costing.